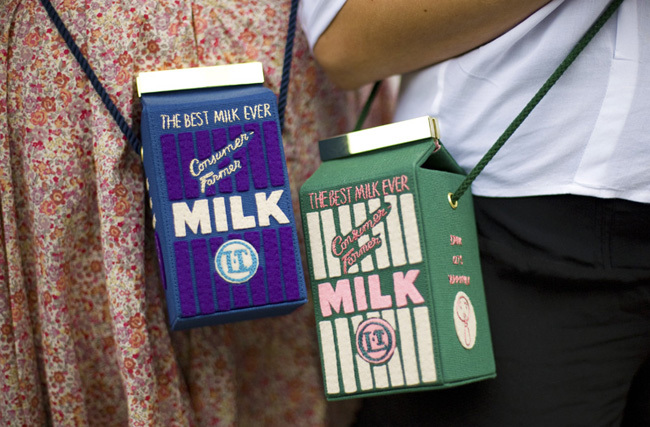 Milk makes me gip*, but I’d make an exception for one of these Olympia Le-Tan carton bags. Not since the Coffee and TV video have I felt so strongly about a carton of milk. 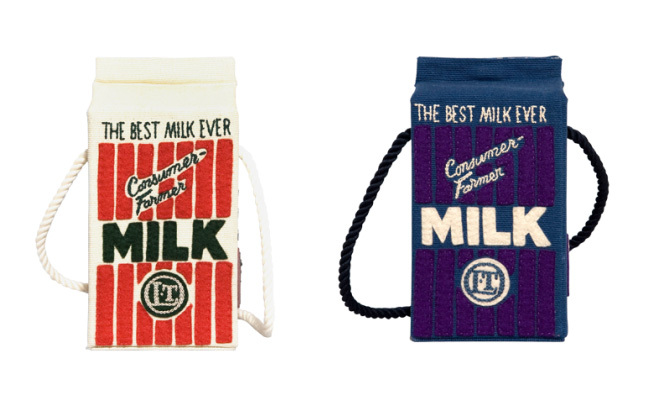 Something about the wording really appeals to me – ‘the best milk ever’ is a fine marketing slogan – and I quite like the idea of having a big old milk carton slung around my body, rather than grasping one of Olivia’s more subtle book clutches. Or am I totally deluded? Are they the 2012 equivalent of a Shaun the Sheep bag complete with socks and a baby t-shirt? I’d like to think I’m right on this one, but always willing to be corrected. They are almost as expensive as her book bags though, so little to no chance of me ever getting my grubby mitts on one and finding out. If you’re more financially blessed, you can buy them here. * Seriously, those people that swig milk out of the carton on the bus are the worst.